It is a consumer revolution that will restructure healthcare, redefine the meaning of health and rewrite the boundary of wellness. It is where value is shifting to and where additional value will be created. Today it is manifesting as a conglomerate of medicalization of the smartphone; the impending upgrade to clinical-grade sensors in wearables, within smartphones and within a burgeoning market of smartphone peripherals; the explosion of health, fitness and wellness apps; the rise of connected fitness and wellness consumer electronics; the consumerization of healthcare and medical devices. The emerging industry is Wellness as a Service (WaaS). Today consumers subscribe to mobile network operators for minutes, messages and megabytes or for example, cloud computing in the form of Software as a Service (SaaS). 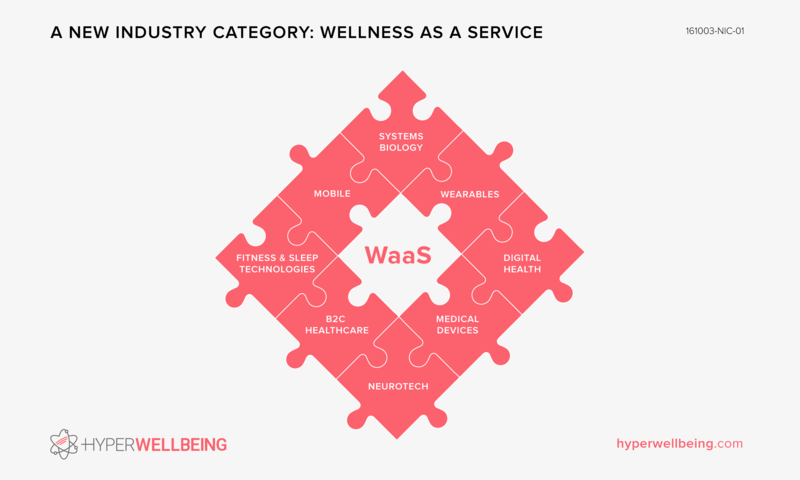 WaaS represents health and wellness consumer devices (e.g. wearables) and/or apps, increasingly coupled to subscription based health, wellness and lifestyle services. Rather than being focused upon “digital sickcare” e.g. medication adherence devices, telemedicine, disease management apps etc. it is instead focused upon empowering the consumer to reduce risk of non-communicable diseases and to upgrade their health, wellness, fitness and longevity on an ongoing basis. It is the converse of the existing trend of healthcare moving towards digitization; computer and data science instead moving towards health. It is for the majority of the people instead of only patients, a new high-growth sector of economic activity and a new realm of human endeavor. It is being given birth by a confluence of technological, economic and sociocultural factors. Technologically computing and humans are coming closer together. A third computing revolution is underway. During the first, computers moved from being room-sized industrial machines to being on a home desk. During the second they became truly personal, carried in our pockets in the form of a “smartphone”. The third is “intimate”, off-body personal sensors and on-body as an extension of our physicality. It is taking the form of mobile, wearables and personal sensing devices. It is producing a new “intimate” class of data. Data that is captured from within body, close to body or close to our lives. Data that will be increasingly derived from across our entire lifetime (~28,000 days). Already apps, devices and wearables are capturing our physical and even sexual activities, motion and gestures, sleep and reproductive cycles, stress and energy levels, nutritional intake, and ever increasing physiological measurements. More recently intimate data has begun to record our emotions and the meaning of our conversations. This is set to combine with a consumer retail rise in private lab derived genetic and omics data (via DNA, blood, microbiome and saliva based analysis). Intimate data can be leveraged for multiple purposes. 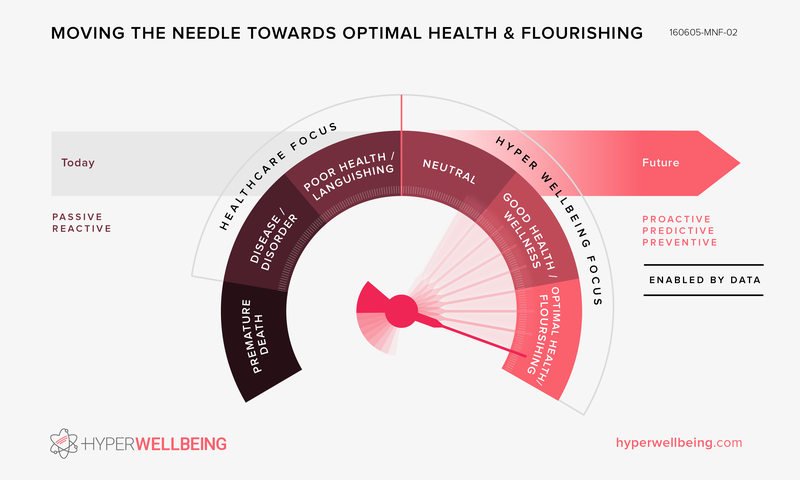 Hyper wellbeing is an aspiration to use it for good. Global healthcare spending is at record levels and set to continuing rising in-part because non-communicable diseases (NCDs) are steadily increasing around the world. The U.S. healthcare industry costs 18% of GDP ($2.9 trillion in 2015) with 88% of it being spent on preventable diseases. These costs are predicted to rise to 21% of GDP by 2021. Aside from the untold pain, suffering and disability inflicted by NCDs, if costs continue as projected, Millennials will spend 80% of their lifetime earnings on healthcare. The four main NCD types are cardiovascular diseases, cancers, diabetes and chronic lung diseases, which accounted for 68% of global deaths in 2012. This was up from 63% in 2008 and 60% in 2000. In California 55% of adults have prediabetes or diabetes. Diabetes has almost quadrupled since 1980 affecting 8.5% of adults worldwide. Yet “diabetes is the kind of disease you can see coming from miles away”. Only 2.7 % of the U.S. adult population has a basic healthy lifestyle. Yet diseases resulting from lifestyle choices are now the leading global cause of death, a position formerly held by bacterial and viral infections. Public health had won major achievements, such as immunizations, antibiotics and vaccines, during the 20th century. Today, however, our most pressing health issues are caused by the lifelong, daily dynamic interplay among our genetics, environment, and lifestyle choices. Prevention will not be found in the form of a pill or syringe. 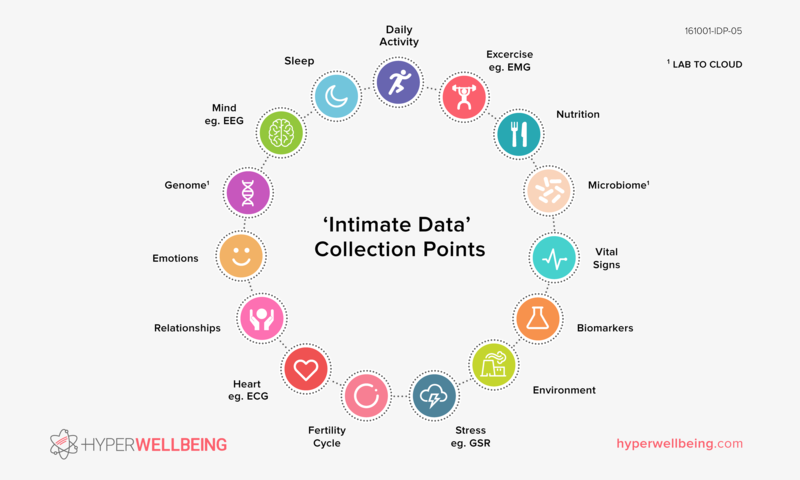 Instead it will be found by empowering consumers with real-time continuous data, with ongoing machine intelligence and Big Data driven insight into their bodies and lifestyles, with recommendations, with behavior change interfaces and algorithms. Today healthcare oscillates between being reactive and passive in that it waits for us to get sick first before intervening. It must get extended to being continually active and with a deep lifelong preventative focus. In other words it must also become consumer device and service driven. Prevention however is only half of the revolution. The majority of people today, although outwardly healthy, have health issues such as nutritional deficiencies, inflammation or pre-diabetic conditions. Virtually all of society’s resources today however go into sick care, 97% of healthcare resources are spent on disease, not wellness. Over the coming decade the meaning of “health care” will be redefined as resources are reappropriated towards wellness instead. Healthcare will be redefined as health care, a positively extensible continuum rather than binary sick or not sick. Consumers will also shift to paying not just for prevention, but for technologies and services to optimize physiological health, moods, mind states, wellness, fitness and longevity, rather than paying for treatment. This will include not just stress reduction, sleep quality, hydration, weight and body composition improvement type technologies but even consumer neurotechnologies to strengthen brain circuitry for empathy, compassion, mindfulness and elevate mood or focus for example. It will include connected (mobile, wearable and cloud-based) retail lab services to improve gut microbiome (“the second genome”), hormone levels, diet and nutrition based upon each person’s unique physiology and metabolism, blood glucose levels, insulin resistance, biomarkers of aging, heart rate variability, inflammation reduction and so on. Aside from consumer driven demand, corporate interest is high because employers are facing the increasing healthcare burdens, increased health insurance plan costs, sickness related decreased productivity and increased absenteeism. This is leading to new business models of service and device subsidization models from corporate wellness programs, wearable device manufacturers and life/health insurance plans. These provide employees and insured with incentives to reduce disease risk and improve overall health and wellness. Millennials rather than owning a car for example and paying for it to serviced regularly so as to reduce risk of a breakdown, are more inclined towards rental and instead spending towards disease risk reduction and improvement of their health, wellness, fitness and longevity. The movement represents a power shift towards the consumer and the future of mobile, wearables, health and wellness. You can provide critical early-stage support and benefit from being a pioneer by attending or if an innovative company by sponsoring.